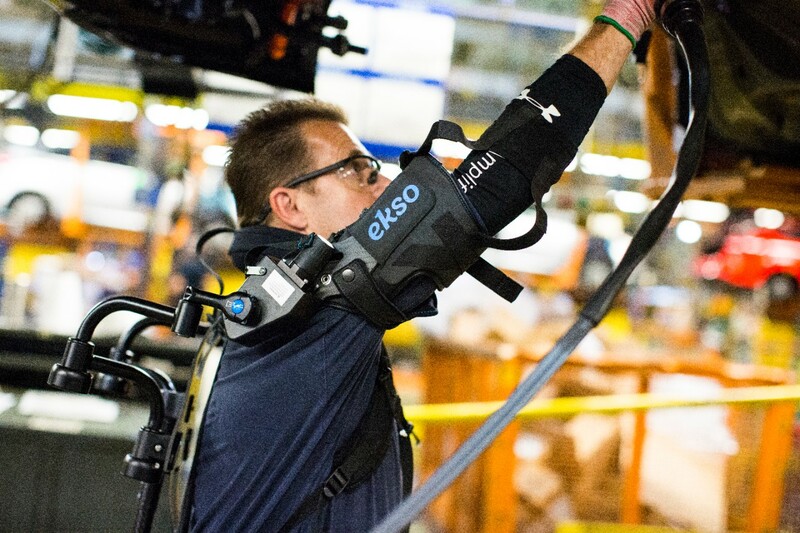 Ford assembly line workers are testing new upper body exoskeletal technology – EksoVest – that helps lessen the chance of fatigue or injury while performing overhead tasks. 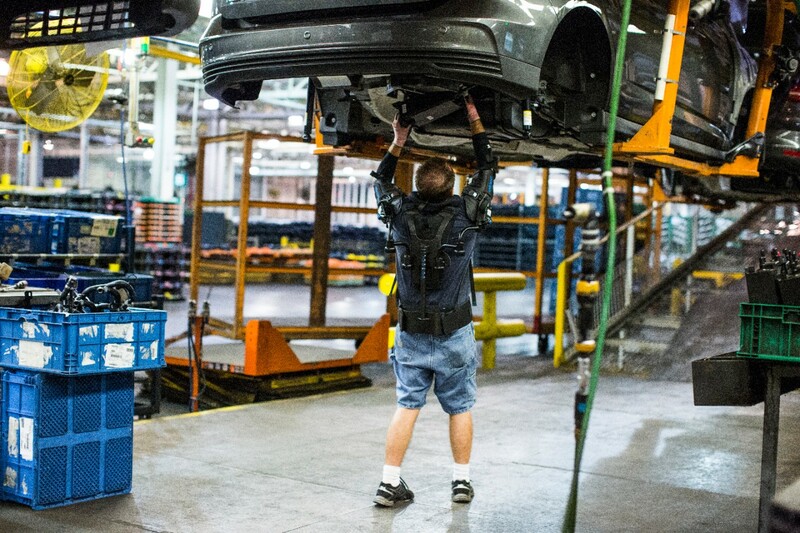 EksoVest is the latest example of advanced technology Ford is using to reduce the physical toll on employees during the vehicle assembly process. Since 2005, incidents in Ford’s North America facilities that resulted in time away from the job fell 83 percent; the 2016 incident rate was the lowest on record. 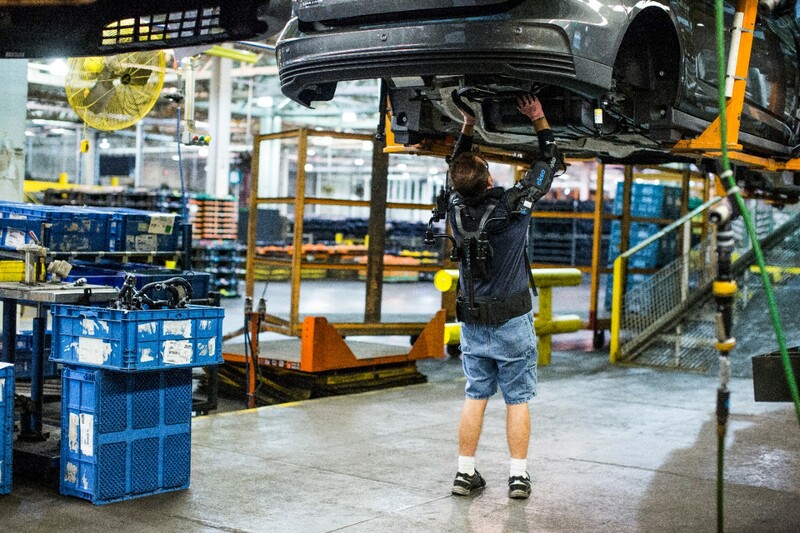 To date, Ford ergonomists have worked on more than 100 new vehicle launches globally using ergonomic technology tools, including most recently the 2018 Ford Mustang, 2018 Ford F-150, and the all-new 2018 Ford Expedition and 2018 Lincoln Navigator. 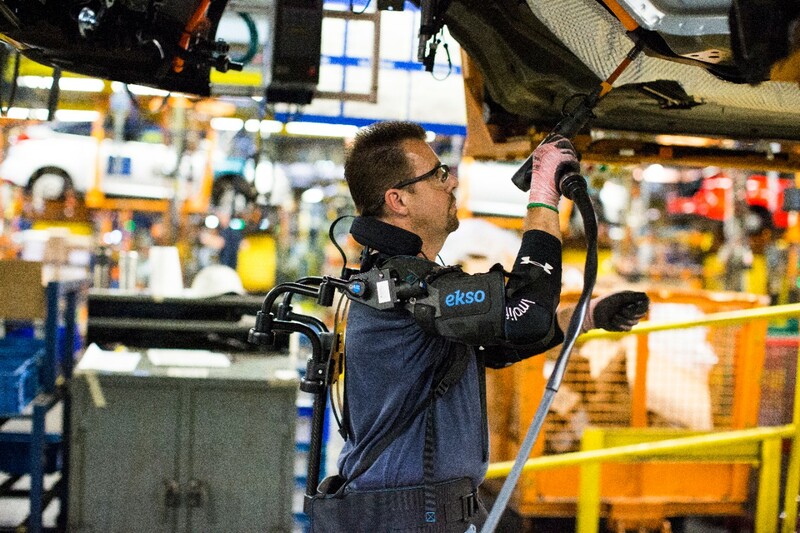 Through significant investments in the program, not only has Ford achieved a reduction in employee incident rates, it has seen a 90 percent decrease in such ergonomic issues as overextended movements, difficult hand clearance and tasks involving hard-to-install parts.